Located in Saint Helena, California in the heart of Napa Valley - Saladin Cellars is a premier wine company focused on producing world-class wines from family-owned & locally sourced vineyards. The story of Saladin Cellars all began with our tiny Petit Verdot vineyard in our front yard and a small batch of wine we would make every year. But the history of my family is an inspiring one and was the motivation for our company coming to fruition. My father Bill was born in Medford, OR but was raised in Petaluma, CA by my grandparents who were of Swiss-Hungarian descent. My grandparents enjoyed copious amounts of spicy food (a very standard Hungarian trait) and loved white wine to pair with. You will see a special honor to their heritage by the usage of Hungarian Oak barrels in our wines. My mother Connie was born and raised in Saint Helena, CA by a single mother of Italian descent. Her family first came to Saint Helena in 1906 from Montemagno, Italy - a small farming town located on the rolling hills of Piemonte, very much resembling the natural beauty of Napa Valley. We pay homage to their heritage with our Notte di Vino label, meaning "Wine Night" in our native Italian language. My great-grandfather Stefano would always sit on the front porch of his house at the end of the day, the house I still live in today, and enjoy a glass of his home red wine and a cigar - thus the motivation for this label. In 2011, with the encouragement of my father and step-mother Tina, we decided to release our first commercial wine. We used some of our Petit Verdot and Rutherford and Howell Mountain Cabernet Sauvignon grapes to create our inaugural vintage. The first Saladin wine was born, and the rest is history... Every bottle is handcrafted from vineyard to glass - handpicked and sorted every year, with attention to detail. Our small production allows us to make the wine we want, and in the end we believe the product to be one born out of love. We here at Saladin Cellars encourage you to give our wines a try, and maybe at the end of the day you will find yourself enjoying your own "Wine Night". We appreciate the continued support from all of our fans. Salute! Our family-owned vineyard located on Hudson Avenue in Saint Helena, CA. All Petit Verdot vines with each row named after the three Saladin brothers - Austin (Auz), William, and Christian (Kri). 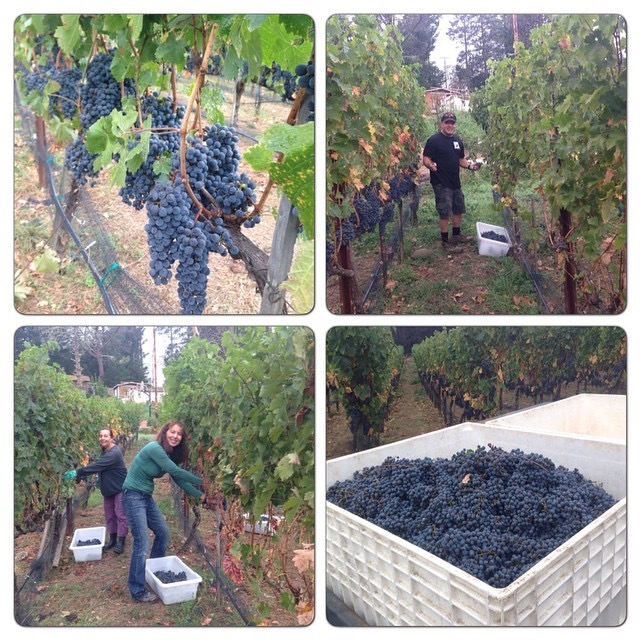 Some of our first wines were made from this vineyard - including manual punch-downs in a Rubbermaid trashcan! We typically will blend a small percentage of this Petit Verdot into our Cabernet Sauvignon most years. 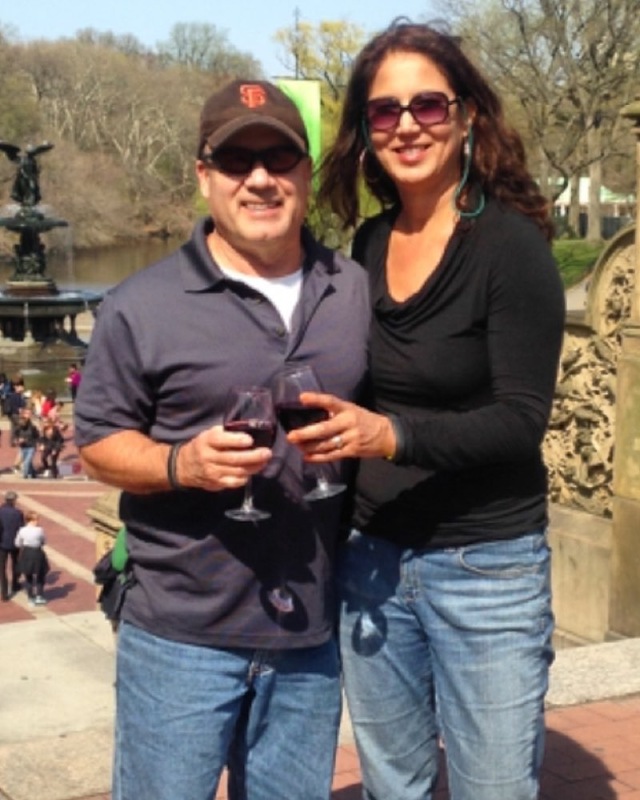 Owned and farmed by the Martinez family, Juan and his wife Fatima grow some truly amazing Cabernet Sauvignon grapes. Sitting high atop the Howell Mountain AVA, located on Brookside Drive in Angwin, we were the first to ever produce any commercially sold wines from this vineyard. We work together every year to help continue the progression of this young vineyard and you can see the quality of these vines increase year after year. We are happy to call the Martinez's part of our Saladin family. Owned by Keller Estate located on Lakeville Highway situated in the Petaluma Gap AVA. We source our Pinot Noir and Pinot Gris grapes from this vineyard and we couldn't be happier with the premier quality of these vines. The Petaluma Gap (now officially recognized as a sub-AVA of Sonoma Coast in December 2017) is actually a wind gap named after a coastal mountain opening that stretches east from the Pacific ocean through the town of Petaluma and then heads south to San Pablo Bay. Owner and Winemaker Ana Keller is gracious enough to allow us a small amount of fruit and we appreciate the continued partnership. Our Signature Wine Club highlights all our special creations, with wines that are highest quality, low production, and handcrafted from vineyard to glass. All shipments include recipes to pair with our wines as well as detailed tasting notes on upcoming vintages. You must be 21 years of age or older, to order or receive alcoholic beverages from Saladin Cellars. Receipt of shipments containing alcoholic beverages requires the signature of a sober adult (a person 21 years of age or older who is not intoxicated). Wines purchased from Saladin Cellars are not for resale, and are for personal consumption only. Online orders are by credit or debit card only. We accept all major carriers. Federal Express Ground/UPS Ground is Saladin Cellars' carrier of choice. Ground shipping is provided by Federal Express Ground/UPS Ground at current market rates. *Note – If the customer selects Fed Ex Air as his or her carrier, the customer pays all shipping charges, regardless of his or her wine club membership or purchase amount. Wine is a perishable commodity. Wine does not like extremes of temperature: hot humid summer and cold winter weather may adversely affect the condition of your wine during shipment. Saladin Cellars is not responsible for, and will not replace wine that is damaged by extreme weather conditions during shipment. When your wine order is picked up by the common carrier for delivery, responsibility for the wine becomes the responsibility of the purchaser. 10% off any 6 bottle purchase, mix and match! 20% off any 12 bottle purchase, mix and match!